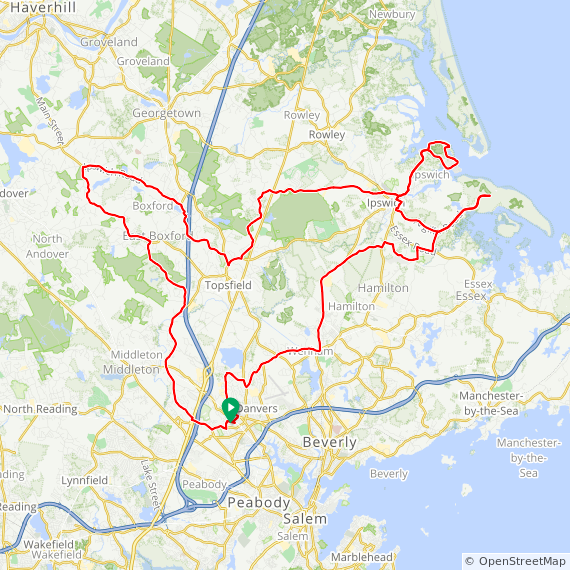 Easy, mostly flat riding with few hills on the short and medium routes through Danvers, Middleton, Boxford, Topsfield, Ipswich and Hamilton. Starts out on traveled roads but quickly becomes scenic and less busy. Stop at one of two farm stands for refreshments or see live wolves at Wolfs Hollow on Rte 133. 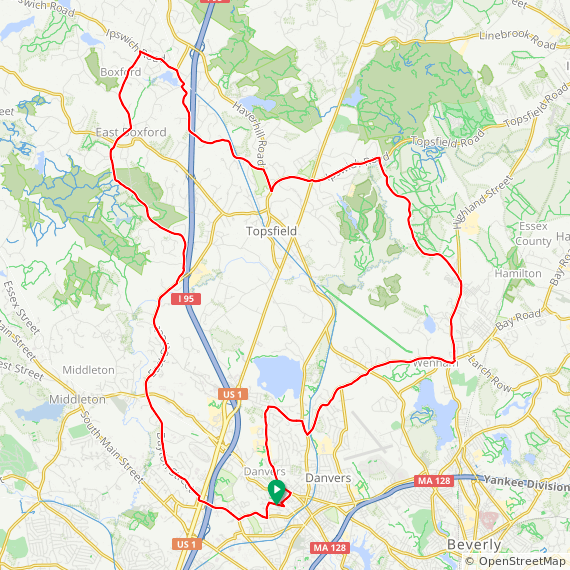 The Long ride takes you out to Jeffreys Neck in Ipswich with bay views. The Long and Medium have option for an “out and back” to Crane Beach on Argilla Rd. Parking lot is across from St. Mary of the Annunciation School.